Tyson Fury says negotiations over a fight with Deontay Wilder in December are "very close to being done". The former heavyweight champion returned to the ring in June with a stoppage victory over Sefer Seferi at the Manchester Arena and takes on Francesco Pianeta in Belfast on August 18. 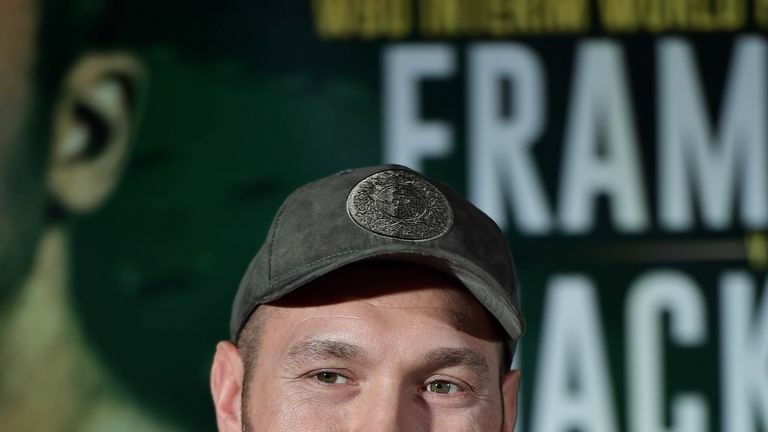 Fury has vowed to reclaim the world title and a fight with Wilder - the WBC heavyweight champion - would be only the 29-year-old's third fight in nearly three years. Fury made the claim in a post on his Twitter page on Monday, saying: "I can confirm that me and Deontay Wilder are in negotiations. [It is] very close to being done. "I can reveal that negotiations have been very strong for December. We are almost done with this deal. "But I won't be looking over Francesco Pianeta. He is going to give me the right fight and the right work to prepare me for Wilder." Wilder has been in talks over a unification fight with Anthony Joshua, but the two parties have yet to reach an agreement. Joshua will defend his IBF, WBA 'super' and WBO titles against Alexander Povetkin at Wembley Stadium on September 22, live on Sky Sports Box Office, and will return to Wembley on April 13, 2019.